For delivering the peptide the team took inspiration from 2012 iGEM Team Groningen in having two separate compartments for the microbe and nutrients. Polycaprolactone will be used as the inner membrane for nutrient supply and the external membrane as the dialysis tubing which contains our engineered Bacillus subtilis spores. Dialysis tubing for 1 kDa molecular movement will be used for release of our desired peptide. Alternatively, silk fibres can also carry out the functioning of dialysis membrane. 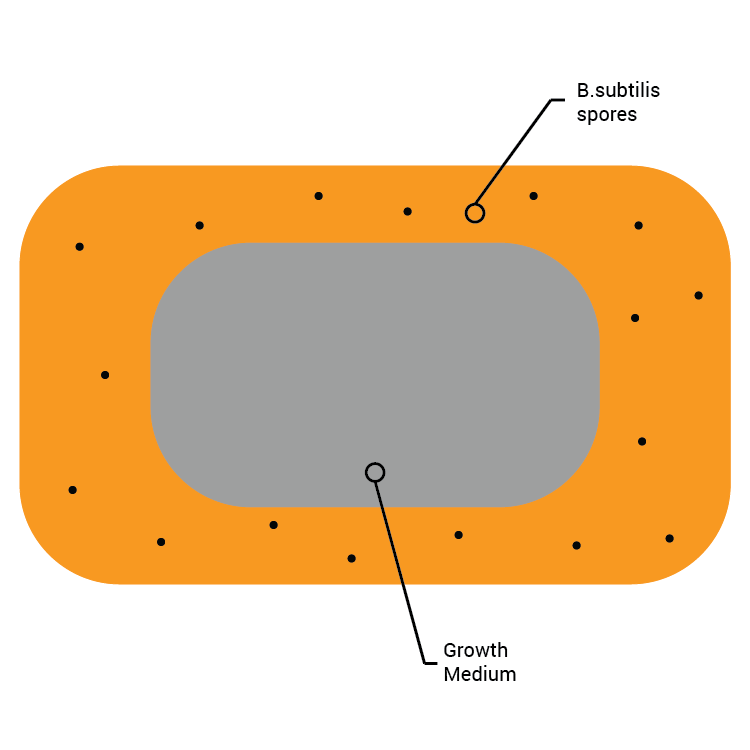 For the system to function, the inner membrane containing the medium will initially be squeezed to come in contact with the spores outside. The sachet can now be added to the boiling milk for gene expression and peptide release into the milk. Since the peptide synthesis is dependent on temperature, the process is continued till the temperature drops down to 42°C. With regard to Groningens system we replaced the inner PVC membrane with polycaprolactone(PCL), which is a non-toxic and biodegradable alternative to PVC. The outer TPX membrane was also replaced with a dialysis membrane to selectively facilitate the transfer of our Anti-microbial peptides.